You’ve spent the time and money to remodel your kitchen, and now that the counters and cabinets are installed, and you have the perfect lighting and furniture picked out, it’s time to decorate! 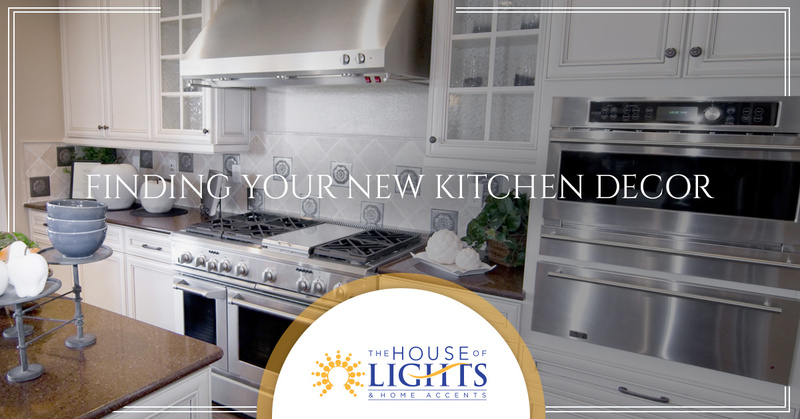 At The House of Lights & Home Accents in Melbourne, we can help you choose the ideal kitchen decor. 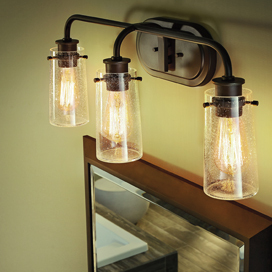 As your local home decor retailer, we have an amazing selection to choose from, and our expert staff will gladly help you every step of the way. What Style Is Your New Kitchen? 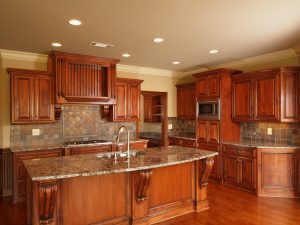 The design style of your new kitchen will obviously inform the type of decor you choose for it. You may want a large clock on one wall, but you won’t want a farmhouse style clock in a contemporary kitchen. 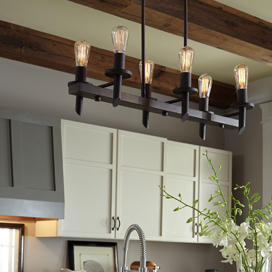 If you have a rustic kitchen with dark tones from the wood or brick, you’ll want the decor to complement it, not clash with it. For modern or contemporary kitchens with clean lines and light tones, where the materials are the focal point of the space, you may only need one or two accents in the room, instead of filling each empty shelf or spare counter space. When you think of your kitchen, you likely think of cooking and entertaining. This is where the family gathers to enjoy each other’s company in the evenings, and where you have a cup of coffee with a friend you haven’t seen in a long time. You want your home accents to make the space more appealing, and an options such as a decorative fruit bowl can help accentuate your kitchen island. If you have a high shelf or a recessed alcove that runs around the perimeter of the room, decorative vases or bookends can fill the space without overwhelming it. Since you’ll be keeping your dishes and glasses on the lower shelves for accessibility purposes, you’ll need something for those higher spaces! The walls of your kitchen are likely taken up by cabinets and cupboards, but there may be a square pillar or some empty wall space that is calling for a piece of decor. A decorative print or small clock can work wonderfully in those spots, and we have a fantastic selection from which to choose. Depending on the color of the wall, your decor can provide a splash of color or texture that brings more life to the room and makes the room more interesting. If you have a traditional kitchen that includes all the details of moldings and raised-panel cabinets, we can help you find the perfect wall decor to complement those features. Finding new kitchen decor doesn’t have to be difficult, and your remodel doesn’t have to be done before you begin shopping. 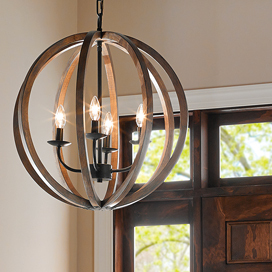 At The House of Lights & Home Accents, we love helping customers choose their new accents, and we’ll gladly answer any questions you have regarding design and decor in your home. You can visit our showroom at 1034 S Harbor City Boulevard in Melbourne to learn more, or you can schedule an appointment online for layout and design services. 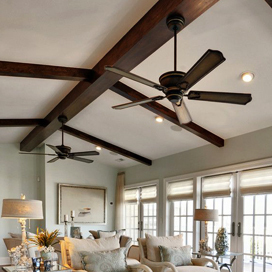 Our lighting and decor experts are always happy to help however they can, and we know that you’ll leave feeling confident that you made the right choice in working with us. Find your new decor today!